Outdoor Digital Signage & Billboard | Outdoor Specialist, Inc. Outdoor Specialist, Inc. is ready to help you with your outdoor digital signage needs. Digital media signage and message boards offer increased revenue opportunities for advertisers. 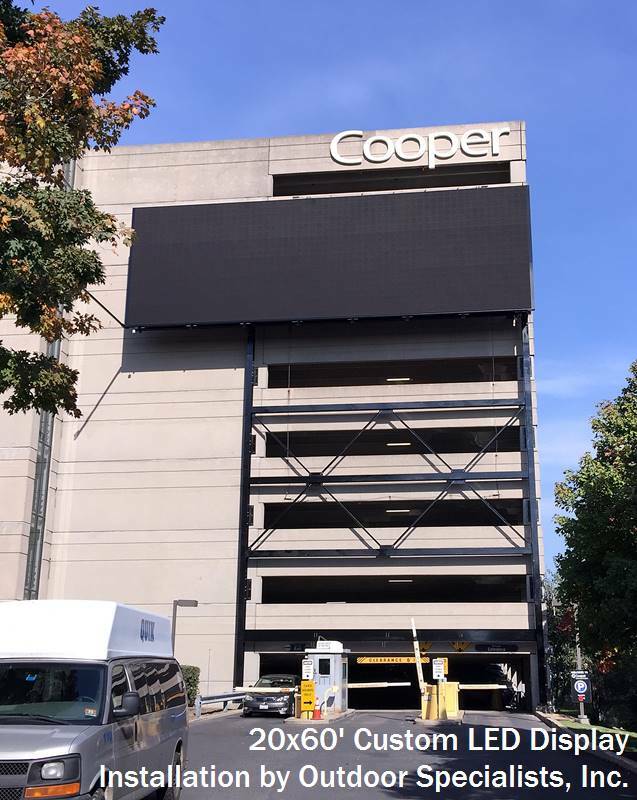 When it comes to outdoor digital signage and advertising message boards, you can count on Outdoor Specialist, Inc. to have the right solution for the best return on your investment. Our professional Sales and Engineering staff works with the vendor you choose for electronic message, LCD, LED and back lit displays. When OSI is involved from the beginning, you are assured of getting the best value and function from your structure. We team with you and your electronic display manufacturer until the project’s completion. As with billboards and sign poles, we can work with you nationwide. Outdoor Specialist. Inc. is committed to industry-leading outdoor advertising structures, built with the highest quality materials and completed on-time. From community sports facility complexes, to major college and professional stadiums, Outdoor Specialist, Inc. is the best choice when you need outdoor electronic message displays and digital signage!